54. The essence of holiness is true love, but more than this it is the essence of truth, righteousness and light. The word “holy” is only appropriate when applied to God; nothing in creation can be worthy to be called holy. Man must understand that. 55. You will know the holiness of God … to be the flawless essence of God, the selfless love of God, that all this God gives to man is selfless, and you will come to know that God’s holiness is unblemished and irreproachable. These essences of God are not just words He uses to show off His identity, but instead God uses His essence to silently and sincerely deal with each and every individual. In other words, the essence of God is not empty, nor is it theoretical or doctrinal and is certainly not a kind of knowledge. It is not a kind of education for man, but instead is the true revelation of God’s own actions and is the revealed essence of what God has and is. 56. Is the truthfulness of God His holiness? Is the faithfulness of God His holiness? Is the selflessness of God His holiness? Is the humility of God His holiness? Is the love of God for man His holiness? God freely bestows truth and life on man—is this His holiness? (Yes.) All the holiness that God reveals is unique; it does not exist within corrupt humanity, nor can it be seen there. Not the slightest trace of it can be seen during the process of Satan’s corruption of man, neither in the corrupt disposition of Satan nor in the essence or nature of Satan. All that God has and is is unique and only God Himself has this kind of essence, only God Himself possesses this kind of essence. 57. Everything God does is to lead and guide man toward living a normal life. Whether it is so man keeps His rules or keeps His laws, God’s aim is for man not to worship Satan, not to be harmed by Satan; this is most fundamental, and this is what was done in the very beginning. At the very beginning, when man did not understand God’s will He took some simple laws and rules and made provisions that covered every conceivable aspect. These provisions are very simple, yet within them they contain God’s will. God treasures, cherishes and dearly loves mankind. Isn’t that the case? (Yes.) So can we say His heart is holy? Can we say His heart is clean? (Yes.) Does God have any ulterior intentions? (No.) So is this aim of His right and positive? (Yes.) No matter what provisions God made, in the course of His work they all have a positive effect on man, and they lead the way. So are there any self-serving thoughts in God’s mind? Does God have any additional aims where man is concerned, or does He want to use man in some way? (No.) Not at all. God does as He says, and He also thinks this way in His heart. There is no mixed purpose, no self-serving thoughts. He does not do anything for Himself, but does absolutely everything for man, without any personal aims. Although He has plans and intentions for man, He does not do anything for Himself. Everything He does is done purely for mankind, to protect mankind, to keep mankind from being led astray. … His love for man, His treasuring and cherishing of man cannot be expressed clearly in just one or two sentences. It is not something that is brought about by man’s boasting but is something that God brings forth in actual practice; it is the revelation of God’s essence. Can all these ways in which God works allow man to see the holiness of God? … All that God gives to man, including the words of God, the different ways in which God works on man, that which God tells man, that which God reminds man of, that which He advises and encourages, it all originates from one essence: It all originates from the holiness of God. If there were no such holy God, no man could take His place to do the work He does. 58. God works in a gentle, loving, delicate and caring way, a way that is especially measured and proper. His way does not cause you to feel intense emotions such as, “God must let me do this” or “God must let me do that.” God never gives you that kind of intense mentality or intense feelings that make things unbearable. Isn’t that right? Even when you accept God’s words of judgment and chastisement, how do you feel then? When you feel the authority and power of God, how do you feel then? Do you feel that God is divine and inviolable? (Yes.) Do you feel distanced from God at these times? Do you feel frightened of God? (No.) No, instead you feel fearful reverence of God. Do people feel all these things only because of God’s work? (Yes.) So would they have these feelings if Satan worked on man? (No.) God uses His words, His truth and His life to continuously provide for man, to support man. When man is weak, when man is feeling down, God certainly does not speak harshly, saying: “Do not feel down. What are you down for? What are you weak for? What is there to be weak about? You are so weak and always so down. What is the point in living? Just die!” Does God work this way? (No.) Does God have the authority to act this way? (Yes.) But does God act this way? (No.) The reason why God does not act this way is because of His essence, the essence of the holiness of God. 59. (Mat 4:1-4) Then was Jesus led up of the spirit into the wilderness to be tempted of the devil. And when he had fasted forty days and forty nights, he was afterward an hungered. And when the tempter came to him, he said, If you be the Son of God, command that these stones be made bread. But he answered and said, It is written, Man shall not live by bread alone, but by every word that proceeds out of the mouth of God. 60. You will not see God hold similar views on things that people have, and moreover you will not see Him use men’s viewpoints, their knowledge, their science or their philosophy or man’s imagination to handle things. Instead, everything God does and everything He reveals is connected to truth. That is, every word He has said and every action He has taken concerns the truth. This truth and these words are not some baseless fantasy, but rather they are expressed by God due to God’s substance and His life. Because these words and the substance of everything God has done are truth, we can say that God’s substance is holy. In other words, everything God says and does brings vitality and light to people; it allows people to see positive things and the reality of those positive things, and allows them to walk the right path. These things are determined because of God’s substance and they are determined due to the substance of His holiness. 62. Whenever Satan corrupts man or engages in unbridled harm, God does not stand idly by, neither does He brush aside or turn a blind eye to those He has chosen. All that Satan does is perfectly clear and understood by God. No matter what Satan does, no matter what trend it causes to arise, God knows all that Satan is trying to do, and God does not give up on those He has chosen. Instead, without attracting any attention, secretly, silently, God does everything that is necessary. When God begins work on someone, when He has chosen someone, He does not proclaim it to anyone, nor does He proclaim it to Satan, much less make any grand gesture. He just very quietly, very naturally does what is necessary. First, He selects a family for you; what kind of background the family has, who your parents are, who your ancestors are—all this was already decided by God. In other words, these were not spur of the moment decisions made by Him, but rather this was a work begun long ago. Once God has chosen a family for you, He also chooses the date on which you will be born. Presently, God watches as you are born crying into the world, watches your birth, watches as you utter your first words, watches as you stumble and toddle your first steps, learning how to walk. First you take one step and then you take another … now you can run, now you can jump, now you can talk, now you can express your feelings. As man grows up, Satan’s gaze is fixed on every one of them, like a tiger eyeing its prey. But in doing His work, God has never suffered any limitations of people, events or things, of space or time; He does what He should and does what He must. In the process of growing up, you may encounter many things that are not to your liking, encounter illnesses and frustrations. But as you walk this road, your life and your future are strictly under God’s care. God gives you a genuine guarantee to last all your life, for He is right there beside you, guarding you and looking after you. 63. From the time you were born all the way up to now, God has carried out much work on you, but He does not give you a blow-by-blow account of everything He’s done. God did not allow you to know, and He did not tell you, right? However, to man, everything He does is important. To God, it is something He must do. In His heart there is something important He needs to do that far exceeds any of these things. What is that? That is, from the time man was born up to now, God must guarantee the safety of each one of them. … This safety means you not being devoured by Satan. Is this important? You are not devoured by Satan, so does this concern your safety, or not? This concerns your personal safety, and there can be nothing more important. Once you have been devoured by Satan, neither your soul nor your flesh belongs to God any longer. God will no longer save you. God forsakes souls like that and forsakes people like that. So I say the most important thing that God has to do is to guarantee your safety, to guarantee that you will not be devoured by Satan. This is pretty important, isn’t it? 64. Through all the work God does for man, man gradually matures, grows up, and comes to know God’s intentions, to know some truth, to know what are positive things and what are negative things, to know what evil is and what darkness is. God does not always chasten and discipline man, nor does He always show tolerance and patience. Rather He provides for each person in different ways, at their different stages and according to their different statures and caliber. He does many things for man and at great cost; man perceives nothing of this cost or these things God does, yet all that He does is in reality carried out on every single person. God’s love is real: Through the grace of God man avoids one disaster after another, whilst to man’s weakness, God shows His tolerance time after time. The judgment and chastisement of God allow people to gradually come to know mankind’s corruption and their satanic essence. That which God provides, His enlightenment of man and His guidance all allow mankind to know more and more the essence of truth, and to increasingly know what people need, what road they should take, what they live for, the value and meaning of their lives, and how to walk the road ahead. All these things that God does are inseparable from His one original purpose. What, then, is this purpose? Do you know? Why does God use these ways to carry out His work on man? What result does He want to achieve? In other words, what does He want to see in man and get from them? What God wants to see is that man’s heart can be revived. These ways that He uses to work on man are to continually awaken the heart of man, awaken man’s spirit, letting man know where they came from, who is guiding them, supporting them, providing for them, and who has allowed man to live up till now; they are to let man know who is the Creator, whom they should worship, what kind of road they should walk, and in what way man should come before God; they are used to gradually revive the heart of man, so man knows God’s heart, understands God’s heart, and comprehends the great care and thought behind His work to save man. 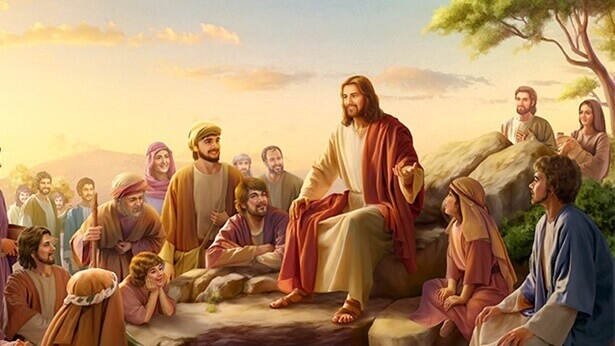 When man’s heart is revived, they no longer wish to live the life of a degenerate, corrupt disposition, but instead wish to seek out the truth in the satisfaction of God. When man’s heart has been awakened, they are then able to make a clean break with Satan, no longer to be harmed by Satan, no longer to be controlled or fooled by it. Instead, man can cooperate in God’s work and in His words in a positive way to satisfy the heart of God, thus attaining fear of God and the shunning of evil. This is the original purpose of God’s work. 65. We can see now that everything God does, all that He painstakingly arranges for man is immaculate. Everything God does is without error, meaning it is faultless, needing no one to correct, give advice or make any change. All that God does for every individual is beyond doubt; He leads everyone by the hand, looks after you at every moment and has never left your side. As people grow up in this kind of an environment and grow up with this kind of background, could we say that people in fact grow up in the palm of God’s hand? (Yes.) … The great thought and care behind everything God does is beyond question. What is more, while God carries out this work, He has never laid any condition or requirement on any one of you to know the price He pays for you, so you therefore feel deeply grateful to Him. 66. God’s treatment of each and every person is earnest and responsible, more responsible even than you are to yourself. Is this not so? God does not speak idly, neither does He stand on high putting on airs nor does He make do with fooling people. Instead He is honestly and silently doing the things He Himself needs to do. … There is no deceit in God, no falsity. God is faithful and everything He does is real. He is the only thing that people can count on and the only thing that people can entrust their lives and their all to. … We see none of Satan’s evil revealed in God. All that God does and reveals is wholly beneficial and helpful for man, is wholly done to provide for man, is full of life and gives man a road to follow and a direction to take. God is not corrupt and, furthermore, looking now at everything God does, can we say that God is holy? (Yes.) 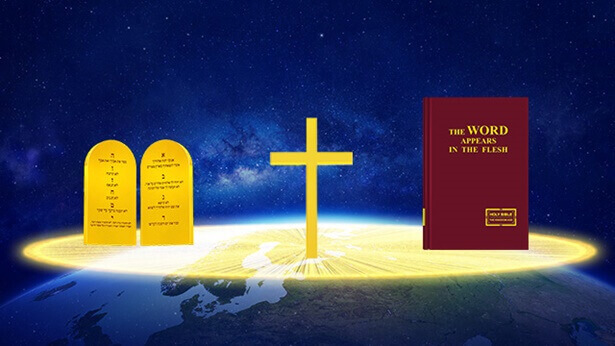 As God has none of the corruption of mankind and has nothing similar to or identical to the corrupt disposition of mankind or the essence of Satan, from this point of view we can say that God is holy. God reveals no corruption, and the revelation of His own essence in His work is all the confirmation we need that God Himself is holy. 67. There is a limit to God’s patience toward man’s corruption, filthiness, and violence. When He reaches that limit, He will no longer be patient and will instead begin His new management and new plan, start to do what He has to do, reveal His deeds and the other side of His disposition. This action of His is not to demonstrate that He must never be offended by man or that He is full of authority and wrath, and it is not to show that He can destroy humanity. It is that His disposition and His holy essence can no longer allow, no longer have the patience for this kind of humanity to live before Him, to live under His dominion. That is to say, when all of mankind is against Him, when there is no one He can save in the whole earth, He will no longer have patience for such a humanity, and will, without any misgiving, carry out His plan—to destroy this kind of humanity. Such an act by God is determined by His disposition. This is a necessary consequence, and a consequence that every created being under God’s dominion must bear. 68. I can tell you sternly and solemnly: There is no part of God’s wrath that can lead one to doubt. His anger is pure, unadulterated anger and harbors no other intentions or goals. The reason for His anger is pure, blameless and above criticism. It is a natural revelation and display of His holy substance; it is something that none of the creation possess. This is a part of God’s unique righteous disposition, and it is also a striking difference between the respective substances of the Creator and His creation. 69. When you come to comprehend the holiness of God, you can then really believe in God; when you come to comprehend the holiness of God, you can then really realize the true meaning of the words “God Himself, the Unique.” You will no longer imagine that you can choose to walk other roads, and you will no longer be willing to betray everything that God has arranged for you. Because the essence of God is holy, that means that only through God can you walk the bright, right road through life; only through God can you know the meaning of life, only through God can you live out a real life, possess the truth, know the truth, and only through God can you obtain life from the truth. Only God Himself can help you shun evil and deliver you from the harm and control of Satan. Besides God, no one and nothing can save you from the sea of suffering so that you suffer no longer: This is determined by the essence of God. Only God Himself saves you so selflessly, only God is ultimately responsible for your future, for your destiny and for your life, and He arranges all things for you. This is something that nothing created or non-created can achieve. Because nothing created or non-created possesses an essence of God such as this, no person or thing has the ability to save you or to lead you. This is the importance of God’s essence to man.